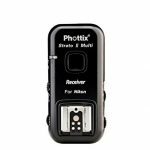 The Phottix Aion Wireless Timer and Shutter Release takes wireless triggering to the next level. 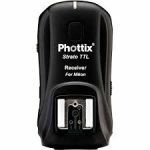 The Phottix Aion Wireless Timer and Shutter Release takes wireless triggering to the next level. 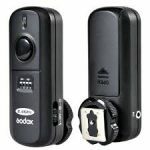 The revolutionary wireless/wired timer and shutter release offers photographers an amazing number of triggering options, including auto-bracketing for HDR. 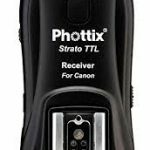 A medium range trigger capable of being operated from 60m it works on a universal 2.4GHz frequency. Easy to operate wherever you are the backlit LCD makes it suitable for use on a sunny day or in the dark. Auto-bracketed timer setting for HDR photos. 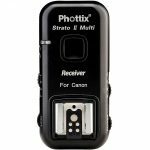 Phottix Aion sets for Canon, Sony and Nikon Olympus are available.